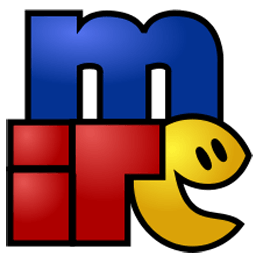 mIRC is a friendly IRC client that is well equipped with options and tools. mIRC is shareware, which means that you can download mIRC and try it out freely for 30 days to evaluate it. Multi-server support allows you to connect to multiple servers at the same time. You can easily chat with friends on different chanels, on different IRC networks. mIRC offers support for secure SSL server connections. mIRC is used by many organizations that need to communicate over secure connections, everything from corporate to governmental. When you depend on secure communications, whether for political, business, or other reasons you can use mIRC and any IRC server that offers you secure access. mIRC supports Microsoft Agent. An agent is an animated character that can speak text and perform actions. With a little fiddling and tweaking you will be able to have this agent speak to you, warn you about things happening on IRC, and even read-up entire discussions to you! mIRC supports UTF-8 text as unicode. This works in status, channel, query, and other windows, and in nickname listboxes, window titlebars, switchbar, and tooltips. This allows you to read discussions in fancy scripts like swedish, hebrew, arabic, greek, cyrillic, chinese,... assuming you manage those languages You can also encode outgoing text in UTF-8 based on the script/codepage you selected. The Toolbar provides easy access to the most frequently used commands in mIRC. It guarantees ease of use to new users of mIRC and stimulates to explore all mIRC's advanced features. The Function keys provide quick access to the commands you use most frequently... Every command -you- want can be programmed to be launched by whatever Function key you choose. mIRC guarantees easy access to the WWW pages you talk about on IRC by supporting all major webbrowsers. They can communicate fully with mIRC by use of the by default configured DDE services. You can even join IRC channels right from clicking special URL's on World Wide Web pages! mIRC leaves it up to you how you want to auto-respond to ctcp commands given by other people on the net. The fully programmable Client To Client Protocol Commands Handler gives you all the freedom you want. The Events handler in mIRC completes the automatic skills you can expect from a good IRC client. It is possible to construct whatever reaction -you- want to give on what happens around you on (your) channels. Still not beaten by any other Windows IRC client! Give your friends fast and easy access to the files you want to share with them... No hassle, no pain. A fast direct client to client (DCC) connection will be automatically set up by a simple command, and present the interface of a simple FTP server to your friends. Bored of the black and white interfaces other IRC clients offer you ?? mIRC offers you smart use of colors to ease up reading of spoken text and differentiating server and controll messages from it. You can even send full color messages to other users :-) mIRC also supports ANSI color encoding. mIRC's screen routines will built up your screen fast and smooth. The text in windows, even the dialogs with long lists of commands and/or events you programmed, and the nicknames in the channels' names lists will pop-up fast. Too lazy to type long commands ?? Or you have some long replies or jokes you use a lot ?? Give them their own short aliases in a very easy way in the fully configurable alias section. You can even program the Function keys.